If your business has a significant amount of traffic from visitors on mobile devices, then you need to make some specific accommodations to enhance their experience. UX (user experience) has become more and more important, and today it’s one of the defining factors about whether a customer will return to your site, or even recommend it to someone else. Obviously, you need to ensure that you’ve covered all your bases. The first step is to realise that responsive design is a better choice than creating a mobile-only version of your regular site. However, you still need to follow some specific best practices in regards to your website. It’s tempting to think that a good responsive website design just shrinks down to accommodate a smaller screen. That’s not what you need to do, though. 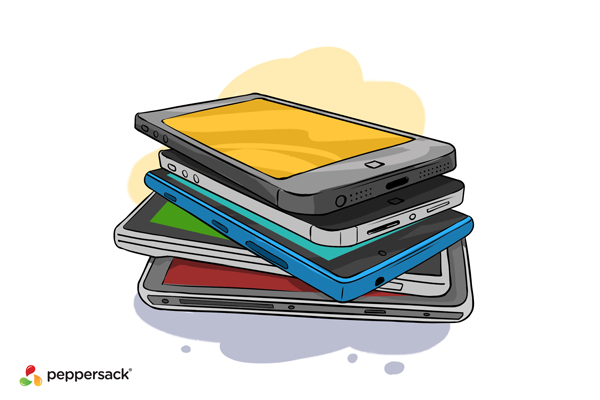 You need to optimise for multiple screen sizes. Smartphones and tablets come in a stunning range of sizes today, from super compact models to those that rival ultrabooks (like Apple’s iPad Pro or Microsoft’s Surface tablets). In addition, you need to realise that many people use their device in landscape mode, rather than portrait, which further alters the screen size. Again, a good responsive design does more than just shrink your website to fit a small screen. Consider how difficult it would be to navigate a site with many different menu options and links if it was merely shrunken down to fit on a four-inch screen. No, you have to go beyond size considerations. Your design needs to change to fit each screen, with different navigation layouts, content structures and even graphics. Another important consideration that all too often falls by the wayside is the fact that mobile users aren’t utilising a mouse to surf your site. They’re using their finger. Fingers are fatter and less accurate than a mouse pointer, and that means you need to account for that in your design. Create a website layout optimised for touch, not for a mouse cursor. Yes, you’ve heard it before, but now it’s time to really pay attention. If you have Flash animation on your page, get rid of it. Many phones (most notably Apple devices) make it very difficult to view Flash. Give your visitors a hand and use HTML 5 instead. It’s completely cross-device compatible. Mobile devices have limited screen sizes, and if your text is too bulky, it will discourage your visitors. This applies particularly to headers and subheadings. Keep them short so that they don’t wrap more than twice. Otherwise, they push your content far down the page and there’s less chance your visitors will actually find what they want. These are just a few of the best practices that must be applied when creating a responsive design for your site. If you’re struggling, Peppersack can help. Our industry-leading website design services will help ensure that your visitors have the experience they deserve.